Broadcaster Robert Peston will lead the event along with Scotland's Finance Minister Derek Mackay. Photo: Alan Davidson/SilverHub. Broadcaster Robert Peston and Scotland’s Finance Minister Derek Mackay are among the keynote speakers at an event in Edinburgh next week to “help plot a course for Scotland’s post-Brexit future”. 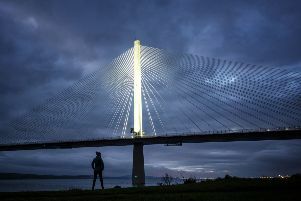 They will be joined by industry leaders including Dame Vivian Hunt, managing partner at consulting firm McKinsey, Dame Susan Rice, president of the Scottish Council for Development and Industry (SCDI), and Secretary of State for Scotland David Mundell. They have signed up to the SCDI’s 48th annual forum, which takes place at the Edinburgh International Conference Centre on 25 and 26 April. SCDI chairman Ian Wall said: “Brexit is an immediate threat to the Scottish economy, and we will face significant challenge if current rules on trade and freedom of movement change. “But at the same time the whole world faces enormous economic, social, and ecological challenges and it is increasingly evident that economies and businesses that advance and embrace people, technology and the planet, as a whole, are increasing their productivity and growth. The event aims to unite all sectors of the Scottish economy and other speakers include Carlos de Palacio, president of Spain’s Talgo, which is planning a new factory at Longannet in Fife to manufacture trains in a move that could create up to 1,000 jobs.